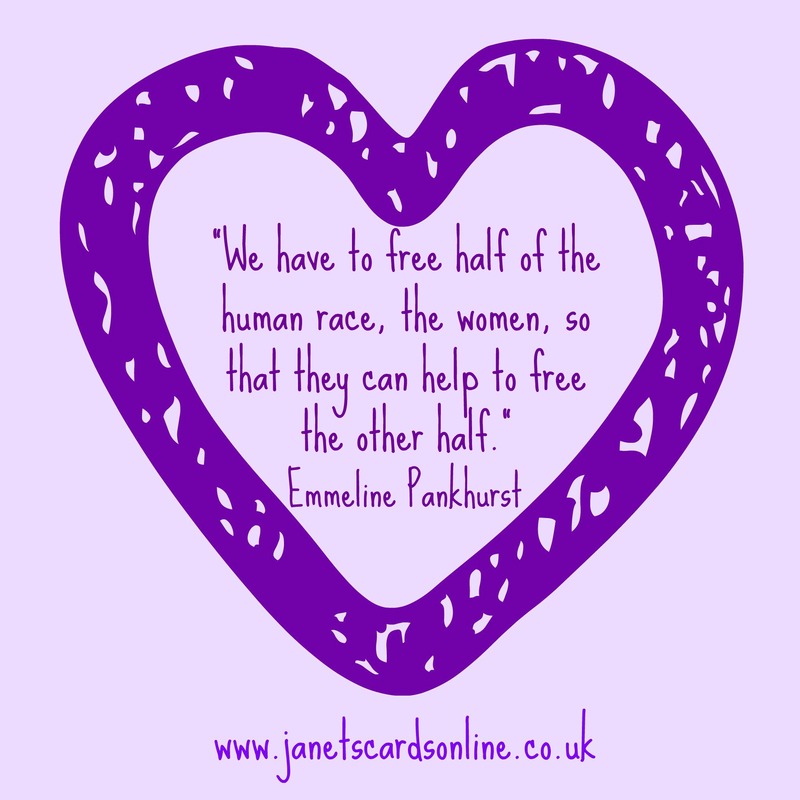 It was on this day in 1903 that Mrs Emmeline Pankhurst formed the Women’s Social and Political Union to fight for women’s emancipation in Britain – if I could I’d send her this card, for all the Mighty Girls and Mighty Women who have had the courage to speak out for those who have no voices. Emmeline Pankhurst is known as a militant woman suffrage organizer in England in the early 20th century. Born as Emmeline Goulden, she married Richard Pankhurst, a lawyer. He was a friend of John Stuart Mill (author of The Subjection of Women). Richard Pankhurst was the author of the first British woman suffrage bill and of the Married Women’s Property Acts of 1870 and 1882. With her daughters Christabel and Sylvia, Emmeline Pankhurst became active in the National Union of Women’s Suffrage Societies (NUWSS). In 1889, Emmeline Pankhurst with her daughters founded the Women’s Franchise League. This organization won the vote for women in elections for local offices in 1894. Emmeline Pankhurst held several local offices. After taking a major role in founding the Women’s Social and Political Union (WSPU) in 1903, again with daughters Christabel and Sylvia, Emmeline Pankhurst devoted more of her time to its suffrage cause. Emmeline Pankhurst ran the WSPU from its London office beginning in 1906. Increasingly militant in working against suffrage opponents and for suffrage, she was jailed and went on a hunger strike, resulting in her release and re-arrest twelve times under a “temporary discharge for ill-health” provision. Emmeline Pankhurst published her autobiography, My Own Story, in 1914. During World War I, Pankhurst and the WPU ceased their militant compaign, and in exchange the British government released suffragettes from jail. Though keeping the suffrage issue in the background at home, Emmeline Pankhurst spoke on woman suffrage on a speaking tour of the United States during the war. In 1917, Christabel and Emmeline Pankhurst founded the Women’s Party, supporting the war and endorsing a whole platform of equal rights for women, including equal pay for equal work, equal parental rights, and public maternity benefits. Emmeline Pankhurst stood for Parliament in 1926 but withdrew before the election for health reasons. Woman suffrage was finally passed in 1928, giving women the same voting rights as men in Britain, and Emmeline Pankhurst died just a few weeks later.